To be the best at your sport, it seems, isn't quite enough. With great talent comes great responsibility in the way you are styled the manner which you conduct yourself in and out of the spotlight. The same goes for one of the greats of tennis - Novak Djokovic. 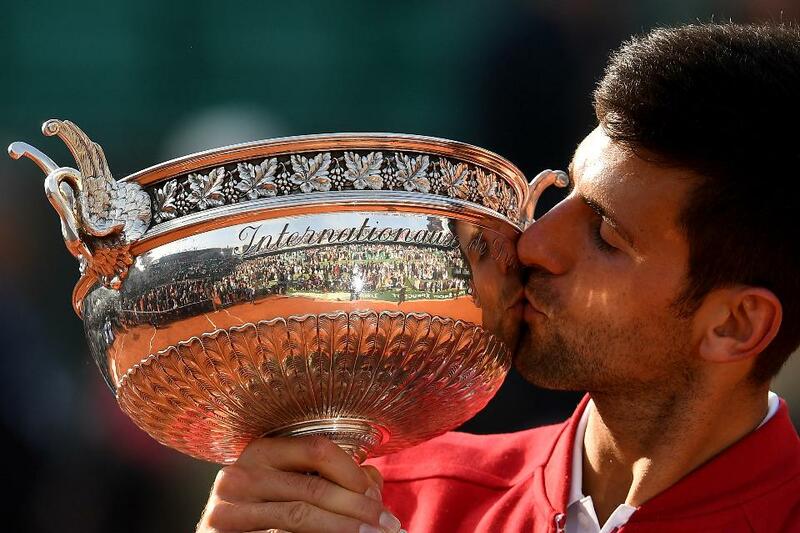 After years of being the nearly man, and countless heart-breaking defeats at the tournament he so craved the most, Novak finally did it, yes, he finally won the French Open in Paris, and it seems the fans, for the first time, actually showed the Serb their love, which must have made the victory even more sweeter. So, why was Novak never adored in the same way as the champions who stood before him such as Roger Federer and Rafael Nadal? Well, it’s simple really – because Roger and Rafa were there first, and no matter how great a champion you are, following in the footsteps of two of the greatest and most loved tennis players in history is no easy task. It's not just Novak's extraordinary talent as an athlete that has made him such an exceptional ambassador for the sport of tennis - The Serbian sensation is also a wonderful man who conducts himself brilliantly on and off the court. Although he may not be as easy to market as the rather suave Roger Federer or bullish Rafael Nadal, in still cannot be denied that Djokovic does still possess a charming personality and marketable look. Standing at a slender 6'1, you'd struggle to find many players on the ATP Tour that can pull off a suit better than the world number one. Where Roger and Rafa have opted for Nike wear on court, Novak wears the rather unconventional Japanese make, UNIQLO. Not conventionally known as a sports brand, it's the sponsorship of Novak Dojokovic that has enabled UNIQLO to extend into the sports clothing market, enhancing the appeal of the brand further outside Asia. It doesn't matter what you are advertising, whether it's a clothing line or a tech gadget, as long as you keep winning and breaking records, everyone will want to have what the best player in the world has. With 12 grand slams and the 'Career Slam' now achieved, the objectives for Novak Djokovic from here on in seems pretty straight forward. Novak will be looking to win every possible prize in the sport, and at just 29 years of age, it's a task that seems very realistic, especially when you consider he's pretty much won all that's on offer already. There are three main accomplishments that Novak will be chasing. Firstly, the 'Calendar Slam', of which no player has managed to do since Rod Laver achieved it in 1969. A Calendar Slam is when you win all four grand slam titles in the same calendar year. What’s more, Novak could go one better than this and be the first male player to bag the 'Golden Slam', of which consists of winning all four grand slams and the Olympic gold medal in one calendar year. If Djokovic can do this by the end of 2016, the Serb will be on 14 grand slam titles, which leaves him with only one remaining achievement to fulfil - To catch Roger Federer. As it stands, Roger Federer is on 17 grand slams, which would mean Novak would only need three more to tie and four more to overtake the Swiss as the all-time leading grand slam winner in men's tennis. If Novak can achieve this feat, it'll be hard to argue his place as the greatest tennis player of them all.